Join us as we invite social media personality Bostonah for an evening of live rosin pressing and live dabs. This is a 21+ event. 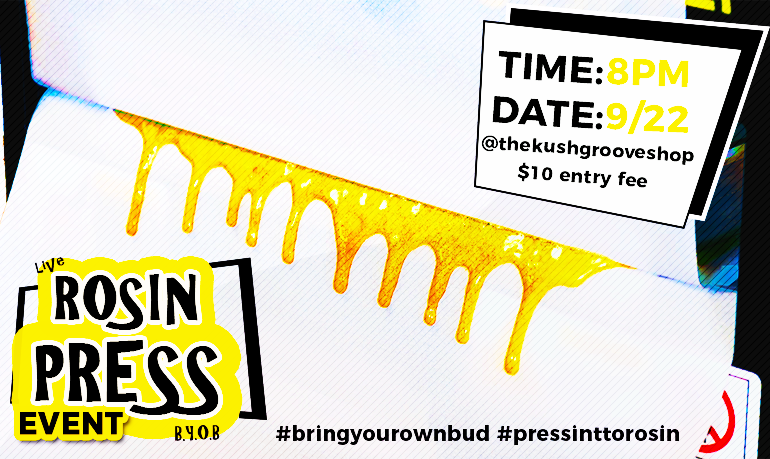 You're invited to bring your own cannabis bud/flower to press into rosin. Bostonah will be pressing live using the Dulytek DM800, DM1005 and DW6000. Email marcus@kushgroove.com for more info.